I found this gorgeous iris on King Street today. 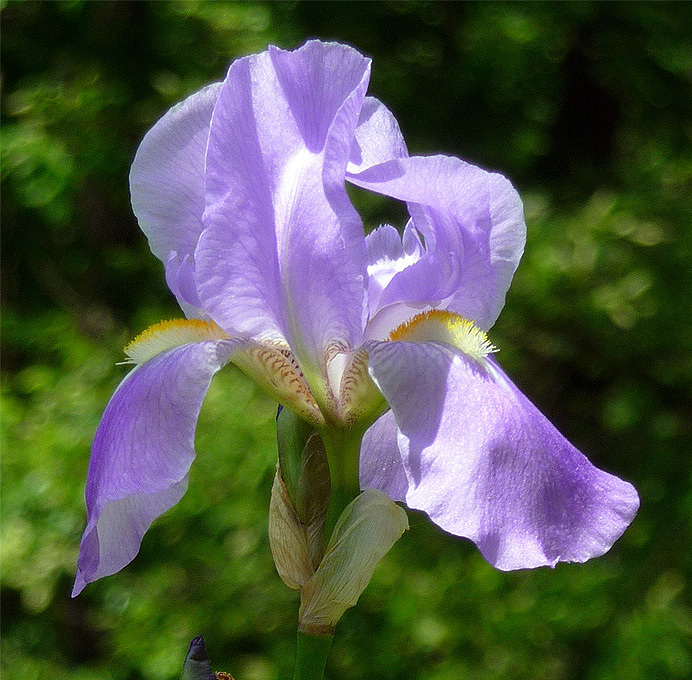 Iris is Greek for "rainbow"—and indeed irises come in thousands of colors. One reason is that their reproductive parts are cleverly arranged to force an insect to dust them not with their own pollen, but with pollen from the last flower it visited. This guarantees a thorough mixing of genes. .